It is only 8 pm and I could be asleep already! Amelia and I had a LONG day. We started off by attending an impromptu Primary Easter Egg hunt. It was all my "fault" since I mentioned how strange it was that the primary was not doing any activities for Easter...to the Primary President....at the park...on Wednesday. The weather was cold and dreary! All the colorful eggs seemed to brighten up the area. 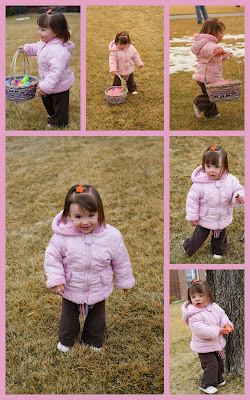 Amelia helped us hide the eggs but opening the chocolate ones and eating them. By the time the kids came out she had collected her few eggs. Right after the hunt we drove South to Sterling, CO to the Walmart there for an oil change. I sort of turned the wrong way at one point and ended up in Crook, CO. LOL...at least its a family name. Amelia was napping so it was no big deal. Walmart took their sweet time servicing my car taking a total of 3 hours. Amelia cried for more than two hours because she hates being in a cart shopping. I usually only go for 20 minutes at a time. The store's craft section was nearly depleted so I was crushed. 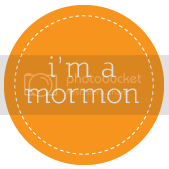 I need some BIG buttons and can't find them anywhere local. Shoot Dang. We stopped at the park for an hour before we arrived back home for some much needed leg stretching. 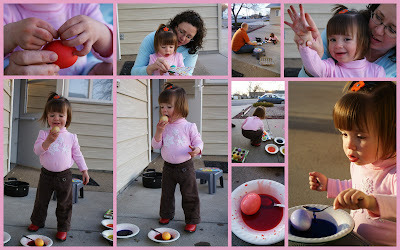 We colored eggs on the front porch area in fading daylight. I am glad Amelia wore an old shirt! She enjoyed splashing in all the colors. Towards the end she licked an egg, discovering the vinegar flavor. The egg probably reminded her of pickles because she dipped the egg over and over in the vinegar wash licking it with gusto. I love the picture of her pucker. Tomorrow morning we are going to a community egg hunt hosted by a local church. Hopefully, the weather is a bit warmer than this morning. She may not get to wear her cute bunny outfit I made her since the shirt is short-sleeved and her brown pants are dirty...GRRR!